Stock 22x9 inch black gm LPO rims with 285/45/22s also with a 24 mm offset. If I trade in my 16 for a 19 RST or Trail Boss I would like to keep one of these sets of wheels from my 16 to run on the 19. I read the 19s have bigger brake calipers. Can anyone verify that either or both of these will fit a 19? Also please post pics of any 14 to 18 wheels you have on a 19 for general reference. 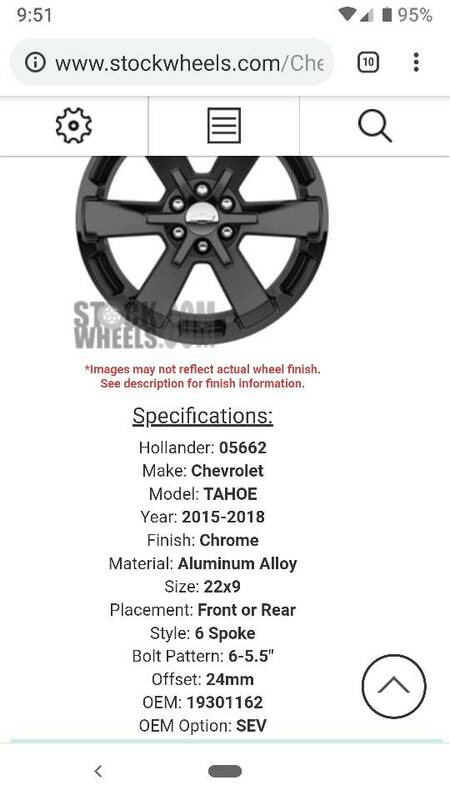 I wonder if the Tahoe/Suburban RST wheels will fit on the new trucks? Anyone? If I trade in my 16, need to know which set of rims to keep the 18 inch midnight or the 22 inch gm high gloss? Keep which ones are worth more so if they don't fit you can sell them. I assume it would be the 22s. Bolt pattern and centre bore are the same. From what I have gathered, the new calipers stick out further away from the rotor becoming closer to the wheel. So it is not the rim diameter that causes contact but the offset of the wheel. Chances are the more positive offset you have, the closer it will be to the caliper. A +24mm offset is nearly as much as you can get a OEM GM wheel. I think my 20" snowflakes are a +27mm. Running a quick search on your part numbers, GM Parts tells me your 22's fit "Cadillac Escalades for 2017-19" but that doesn't help us. I think you will be cutting it close with the +24 offset, but if they don't fit, I would put money on that they would with the smallest wheel spacer you can buy, probably 0.25" But I am not a fan of spacers or a tire sticking out of a wheel well. Thanks. I was hoping to keep the midnight 18s with duratacs as they could be winter wheels for a trail boss. But if neither are likely to fit without spacers, I would have to check with dealer which rims would bring a higher trade value, and sell the other set on Craigslist. Yeah that is ultimately what I may have to do. I am assuming the front will have a larger caliper so that is the one you need to try? 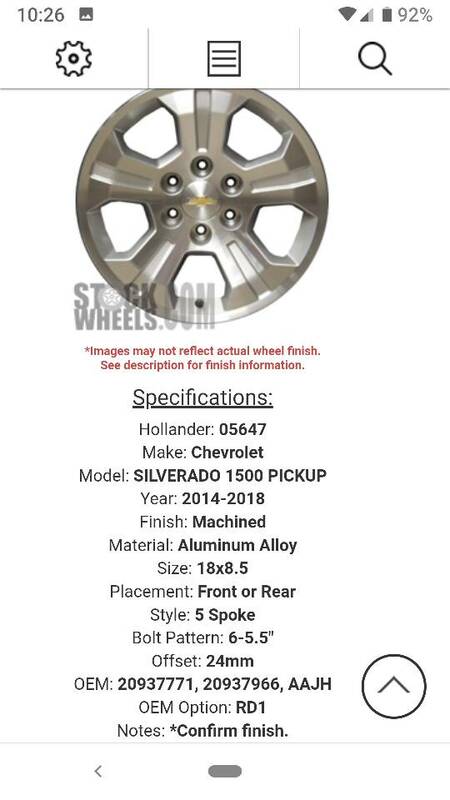 I had my dealer swap my aftermarket wheels/tires from my 2016 to my 2019 when I turned my 2016 in, everything worked perfect-no issues, BESIDES.... they couldn't get the tire pressure sensors to program on my new truck. 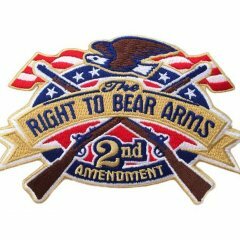 They tried over and over again with no luck and they could not figure out why as they were programmed and reading fine on my 2016. 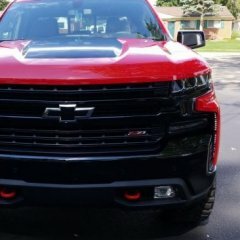 Turns out after they researched and contacted GM, the 2019 truck has a different tire pressure system and it is all new, and the sensors are new as well. Previous year tire pressure sensors WILL NOT work on the 2019. You will have to get your old tire pressure sensors swapped out for 2019 tire pressure sensors if you want your tire pressure readings to work and avoid having the tire pressure warning light on all the time. JUST A HEADS UP. Good luck! New GM '19 sensors are $30 each. I have the black 22 shown off my 17 silverado i tried to fit on 19 but do need a small spacer for fronts to clear. Had no idea about tp sensors being different. Some '14-'18 wheels won't work even with a spacer. Those that do work will require a 3mm spacer. Anything thicker, it won't be hub-centric and will become lug centric. The hub is around 8mm thick so with the taper on the wheel and on the hub, 3mm would be max on a spacer. There are no 3mm 6X139.7 spacers on the market. One company customs makes them for $105 a pair. Only a pair is needed and with needed for the rear. Bolt pattern and centre bore are the same. From what I have gathered, the new calipers stick out further away from the rotor becoming closer to the wheel. So it is not the rim diameter that causes contact but the offset of the wheel. Chances are the more positive offset you have, the closer it will be to the caliper. It's not offset, it's the shape of the spoke and hub and such that matters. Offset controls where the hub mating surface is in relation to the outer edges of the rim, but has very little to do with the spokes that connect the hub surface of the wheel to the rim of the wheel. The backside of the spokes have to be angled out from the hub toward the outer face of the wheel in order to clear the calipers, moreso than in previous models. Yes you are right, but a negative offset will, more often than not, have the spoke/rim support on the inside towards the "show side" of the wheel (weak side on negative offsets) giving you more clearance or a flusher mount on the backside. The more positive your offset is it means your mounting face is pushed towards the "show side" of the wheel, which usually means the spoke support will be built into the backside of the wheel (weak side on positive offsets) to increase support to the outer rim. This is not always the case, but generally good engineering practice. The problem is if you go to aggressive negative offset to get the proper spoke clearance to avoid caliper contact, you now may be creating contact in other areas like the bumper and wheel well liner. You are probably 100% right though, a +24 will have too much spoke/rim support on the backside to clear the caliper without spacers. Anyone know if you can bolt a K2 brake caliper on a T1? Did the caliper become stronger, or just a new, slightly wider casting?